Compare Vacuuming Robots Shark ION 750 and 720: What Are The Differences? If you have decided to get a vacuuming robot, and you are considering a Shark ION, you might find this article helpful. We will compare here the best rated and most popular Shark ION robots: Shark ION 750 and Shark ION 720. What makes these two robots so desirable is that they offer those important must-have features that every vacuuming robot worth considering should have, such as good floor coverage, easy transition from bare floors to low-pile carpets, anti-collision and stairs detection sensors, remote control, automatic docking and recharging, scheduling and high efficiency filters, but they are still affordable! This article will compare Shark ION 750 & Shark ION 720 vacuuming robots. 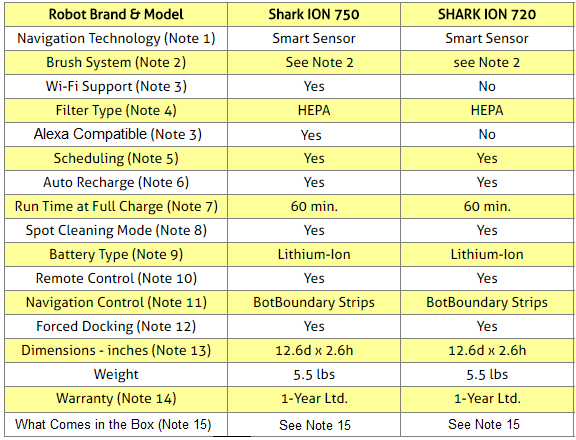 The following table compares the selected Shark ION robots. With Smart Sensor technology on both Shark ION 750 and 720, these robots can seamlessly navigate bare floors and low-pile carpets, all the while assessing the surroundings thanks to the proximity sensors, and adapting to nearby obstacles. The low-profile of these robots allow them to easily glide under low lying furniture. In addition, these robots can transition from bare floors to low-pile carpets with ease to provide thorough cleaning throughout the home. Shark ION 750 and 720 are equipped with a large self-cleaning bristle brush, built with helix-pattern high-tensile bristles, that provides thorough pickup on carpets and hard floors and that captures dust, dander and allergens to prevent everyday buildup in your home. The innovative self-cleaning system of the brush lets the brush roll manage and untangle long hair, string, and fibers, so you don't have to remove. When Shark ION 750 is connected via your home's Wi-Fi to internet, you can use the associated free app for Android and iOS to invoke remotely operations such as cleaning, scheduling, etc. from wherever you are, using your smartphone or tablet. ​Note also that the Wi‐Fi connected Shark ION 750 is compatible with devices that run Amazon Alexa, and therefore it can be voice controlled. Simply ask Alexa to start, stop, or dock your robot. Both Shark ION robots allow programming of the robot for scheduled cleaning. When batteries run low, both Shark ION robots return by themselves to their Home Base to dock and recharge. The average run time for both Shark ION robots is about 60 minutes at full charge. But note that run times can vary extensively depending on the amount of work the robot has to do to clean the floors. That is because different types of carpets, different floor plans and different amounts of dirt may require different amounts of effort from the robot and hence different amounts of ''juice'' from the battery. Both Shark ION robots allow the spot cleaning function that forces the robot to concentrate on cleaning thoroughly a particularly hard-to-clean spot. Note that both robots allow this function to be invoked by pressing a button on the robot itself. In addition, Shark ION 750 allows invoking this function from your smartphone using the associated app. 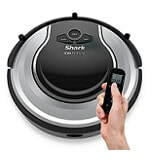 With Shark ION 720 you can also use the remote control device to invoke the spot cleaning function. Both Shark ION robots come equipped with a Lithium-Ion battery. Shark ION750 can be controlled and scheduled remotely from wherever you are, using your smartphone or tablet. Shark ION 720 can only be remotely controlled using the remote control device it comes with. But note that with a remote control device, you have to be at close distance from the robot to control it. Navigation control has to do with preventing the robot to enter certain rooms that are not supposed to be cleaned. 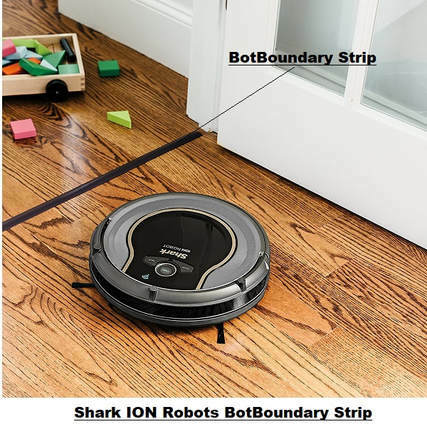 ​Not that BotBoundary Strips are included when you purchase the Shark ION robots. ​Both Shark ION robots are equipped with a docking button that can be pressed to force the robot to dock at its Home Base. Of course, the robot will also go automatically to its Home Base when battery runs low. Shark ION robots come with a 1-year limited warranty. ​So which of the two Shark ION robots should you get for your home? Both Shark ION robots compared here are high quality products as shown by the average rating of at least 4 stars (out of 5 stars) each had received from Amazon customers at the time this article was written. 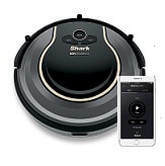 They both come with must-have features such as an efficient vacuuming system equipped with both main and side brushes and strong suction, high efficiency filter, self-recharging, scheduling, avoiding stairs, remote control and rechargeable Lithium-Ion batteries. The main difference betwen these two robots is that Shark ION 750 can be controled remotely using your smartphone from wherever you may be as long as you have Wi-Fi support. On the other hand, Shark ION 720 can only be remotely controlled using the provided remote control device as long as you are in the same room as the robot.